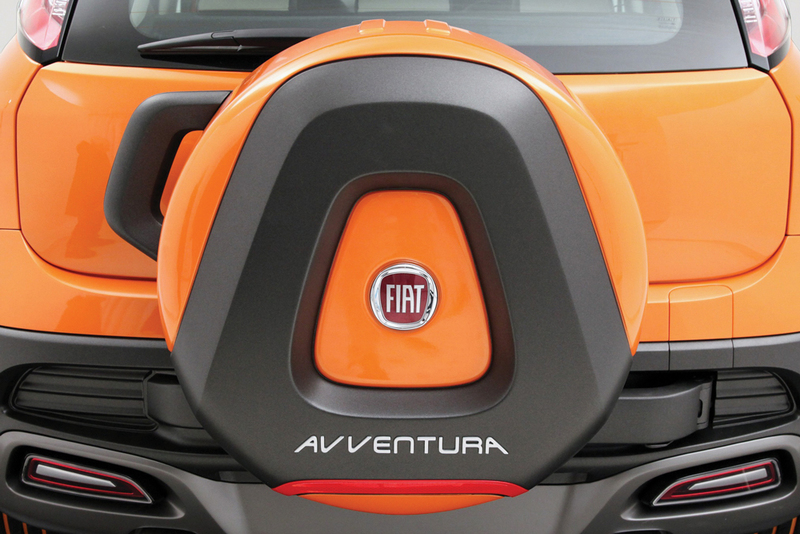 What’s the Fiat Avventura all about? It’s hunting season out there, make no mistake. Crossovers are what have put the more conventional breed of cars in the crosshairs, internationally, and its offerings sit rather well with our fondness for all things that can do more than what we’ve bargained for. While purists set up their battlements to counter this progression, every once in a while, the guys from the other side send a peace offering — all bow-tied and pretty, which makes us lower our guard. The Fiat Avventura is one of those things one is inexplicably and immediately drawn to. Something about its peripherals just seems to fit in with the PuntoEvo’s basic outline. The whole visual scheme tends to trigger a yearning for a more freewheeling lifestyle — a term that must have come up consistently in its embryonic phase. The beach ball shade of orange, the contrasting aluminium roof-rails, the steel-grey skid plates — its trappings provoke possibilities. It’s one hell of a bow-tie. everyday hatchbacks. But, does it do what it must? The petrol powered 1.4 litre FIRE variant (the only petrol option available) produces over 90 bhp with 11.7 kgm of torque. Now that that’s out of the way, let’s see how the Avventura deploys all of it. The extra 65 kg hasn’t done the car any favours at the bottom end of the rev range, and it must be stated that the engine, which is essentially a decade old unit, does feel decidedly sluggish initially. That cheery, meaty bit of power is found higher up, post the 3000 rpm mark, and it goes all the way till 4500 rpm before settling down for some more cruising. The diesel, though, is much more of a willing performer, with its higher torque figure providing much more driveability. You have to look at the Avventura as a sum of its parts, which is truly where its appeal lies. The chaps at Fiat haven’t just raised up the suspension, they’ve made it stiffer, so that the trademark Punto handling capability isn’t compromised. There’s an anti-roll bar installed at the back (borrowed from the Linea), which ensures that for a car as tall as the Avventura, agile cornering is second nature. There’s other tasty little details that add to its credibility, such as the extra gap between the wheel arches and the wheels, which allows for extra travel and a significant 205 mm of ground clearance — a significant departure from hatchback altitude. The car rides on 205 section tyres, so there’s very good grip, while the ride quality is standard Punto fare — just peachy. Poised atop all this finesse is a well-weighted hydraulic steering, which binds all these elements together, translating the terrain perfectly. Fiat hasn’t pulled any punches in their assault on the commonplace car. The Punto has always been a roomy vehicle, but the Avventura’s cabin is a lot better, with leathery bits finding their way onto the seats, armrests and even the dash. There’s a little compass and an inclinometer, furthering its attempts to distinguish itself from the Punto — though it will remain largely unused. A rear parking sensor would’ve been nice. This isn’t your standard mound-conquering, off-roading juggernaut. What the Avventura has going for it is the same stuff that made the Punto tick all those years back, with a few factors aiding its newfound lust for uneven horizons. The wide track, stiffened suspension and a tactile steering make it a formidable crossover as far as handling is concerned, and the ride height means you can meander at least into the periphery of the great outdoors, if not its marrow. It’s agile, sharp, comfortable and plush, but more than anything else, the Avventura is irrepressibly cheerful, and that might just make it worth your while.